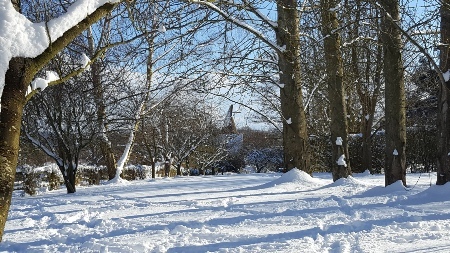 The last few days of February into early March have been accompanied by icy blasts of Siberian wind – affectionately named ‘the beast from the east’ – almost 30cm of snow with temperatures of -15C to include the wind chill factor. 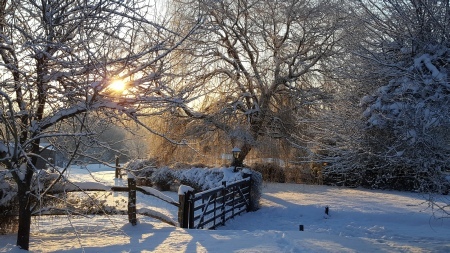 Very uncharacteristic of this time of year here in Kent (especially as our village had the highest reported snowfall in the UK! ), and very different to a year ago, which was wet and just a touch cold. Back to my seed sowing. Intuition, backed up by dowsing (!) told me very strongly to wait. At least until the spring equinox to start sowing. Except for a handful of sweet pea seeds. Phew! Or perhaps my intuitive self was just saying this just to appease my doubtful mind! You see, even after so many years of learning to trust my intuition and ‘working’ with it, when I’m right up against what everyone else is doing and I am guided to do something different, I begin to doubt myself (Lady’s Mantle is a great flower essence for this!). Since starting my flower farm in 2016, I have followed my intuition about when to plant my seeds. And I have paid attention to the subtleties of my local climate much more, as mentioned in my February ‘Signs of Life’ blog. Most of the annual flowers I grow from seed require sunshine and warm soil. Although the sun has been shining, thanks to ‘the beast from the east’ it doesn’t get above freezing in the day, the earth is frozen solid and like rock to walk on. The greenhouse is more like a cold store than somewhere warm and welcoming for new seedlings. After 25 years of fine tuning my intuitive muscle – ‘use it or lose it’ as the saying goes, and in the Western world we’ve generally lost it, mainly because no one teaches us about what intuition is and how to listen to it - I’ve learnt to pay attention to my intuition. Intuition works 24/7 and talks to us in many ways, most especially through our feelings. So, despite what my head was saying, which was ‘get on with seed sowing early Feb and don’t muck about’ – my feeeeling was to wait. I even dowsed on it, doubting my own intuition. If you don’t know about dowsing, it’s a tool to find answers to questions by getting your reasoning mind out of the way. I am vastly oversimplifying an ancient diagnostic and valuable tool, and one used today by most of the UK’s oil companies and water boards as well as geomancers and holistic practitioners. Dowsing is steeped in history – and equal amounts of mystery. 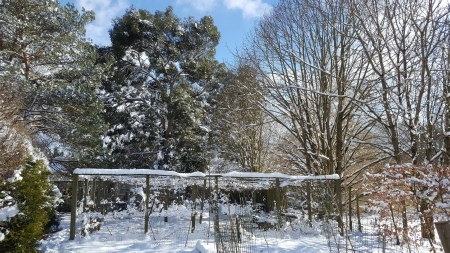 Then out of nowhere, the beast from the east blows in, a thick blanket of pristine snow covers the garden and flower farm beds (tulips, roses and ranunculus freezing underneath – I trust that the nature spirits are lighting mini fires to flame them all with warmth), and because I do not have polytunnels or a heater in my greenhouse, any early seed sowing would have been thwarted. 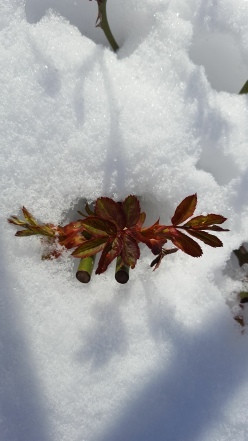 Going back to my February blog again in which I talked about all of nature being connected by an ethernet (us too), my garden knew this cold blast was coming, and was telling me loud and clear. I know the ‘no, that’s not right’ intuitive feeling well enough now. And every time I had wanted to wade in and sow seeds, this feeling came up. Turns out, intuition was right (always!). There you have it. On my own journey from entrenched sceptic to ‘far out’ teacher, I have come to learn that I don’t know something until I know it, I do my best not to judge anything as being far out until I have explored it fully, and I usually discover that what might be new to me has in fact been practised and accepted as every day knowledge by wise elders of our Earth for all time. I invite you to do the same through my workshops, in light, easy, fun ways, with lots of flowers, nature, peace, flower essences and good chocolate! 21 March is Spring Equinox. In March we welcome the wheel of the year turning towards lighter, longer days once again. Looking out of the window as I write this, there is still a good covering of snow on the ground. But, intuition tells me – along with good advice from Ben Ranyard of www.higgledygarden.com who I buy my (most excellent) seeds from – the equinox is the main time to head for. Nature knows best, after all. Whole universes exist in the tiniest of seeds. Tiny black dots become magnificent red poppies. And oval shaped acorns become universes called mighty oaks. How is this possible? We can understand it physiologically. But is there more to consider? In my workshops this year I will be including the work of Rupert Sheldrake, Cambridge scientist and author of many books including ‘A New Science of Life’ (described by Nature as ‘the best candidate for burning there has been for many years’ – so it’s a must read, and I can personally recommend it), Dr Sheldrake has researched his theory of morphic resonance for over 30 years www.sheldrake.org Morphic resonance is the principle that there are memory patterns in nature. The more something happens in a self regulating system e.g. nature, a vibratory pattern is built up based on past form and behaviour which can be referred to/influence nature in the present. He reinterprets the regularities of nature as being more like repeating habits than unchangeable laws. I will be talking about morphic resonance, morphic fields and seed growth. 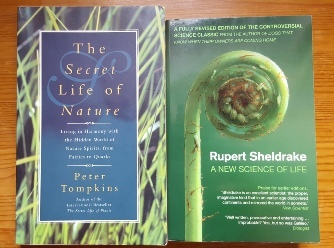 I will also be talking about ‘The secret life of nature’ by Peter Tompkins. Peter was a WWII spy as part of his amazing life. He gathered an incredible library of information about nature spirits, fairies and the invisible world of nature, deemed too ‘far out’ by his publishers to begin with, which he included in later books only to find this fascinating ancient knowledge was being revisited, studied and taught by many, many others in the late 20th Century around the world. 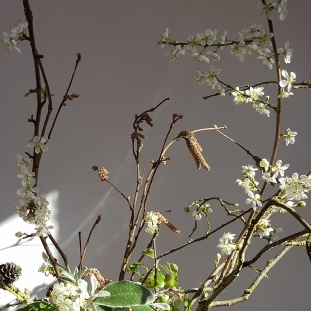 A Meditation of Flowers – brand new workshops. You’ll see more on my social media in March about my first workshop of the year on 20 April. Called ‘A Meditation of Flowers’, it is my expression of Ikebana, the ancient and sacred Japanese art of flower arranging, or Kado ‘way of the flower’. I love to let the shape and energy of flowers guide a design. It really is like a meditation when you allow all of your senses, not just your eyes, to create with flowers and nature. There are 4 seasonal morning workshops in this series. 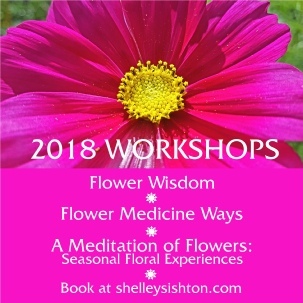 Each begins with a short talk about the wisdom of flowers in season, the relation to body wisdom, with a gentle meditation before you have the chance to create your own ‘meditation of flowers’ with all of your senses, in a peaceful garden setting. The intention is to add a new dimension to the way you enjoy or work with flowers. 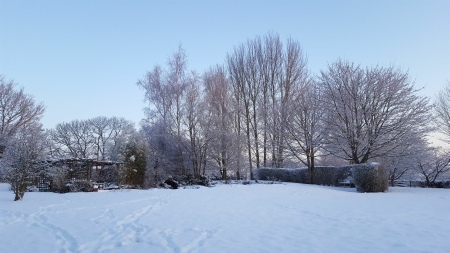 And to give you a sacred space for time out from the world, to enjoy flowers and nature, this time with lots of seasonal blossom from the garden. Fifi the fox in Africa. A (happy) mistake by our printer turned into gold, and in March, Fifi the fox and friends will be flying out to children in Africa thanks to the wonderful charity Book Aid International. 300 books were produced on the wrong stock, and Orbital Print agreed for them to be donated to charity rather than being pulped. First stop is Kenya, to a refugee camp in Kakuma, where the charity is setting up a new project called ‘Library in a camp’. Some are also going to the Runfurly Boxes project, whereby 20 colourful plastic boxes full of books (200 per box) are distributed to 20 different schools lacking resources, to create ‘libraries in a box’. Some more are also going to Cameroon. Do check out this charity’s amazing work at www.bookaid.org and sign up for their e-newsletter. 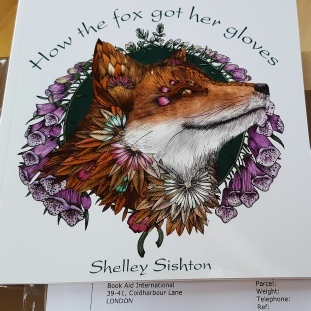 How the fox got her gloves is my first children’s story book. To read more about it, and to order Fifi the fox here in the UK click the picture.